Iceland: Land of Ice and Fire. This island is a geologically young land with lot of natural phenomena as volcanic eruption, geysers, geothermal power. This is a place of water too, with glaciers, waterfalls, sea, waves, and lagoons. 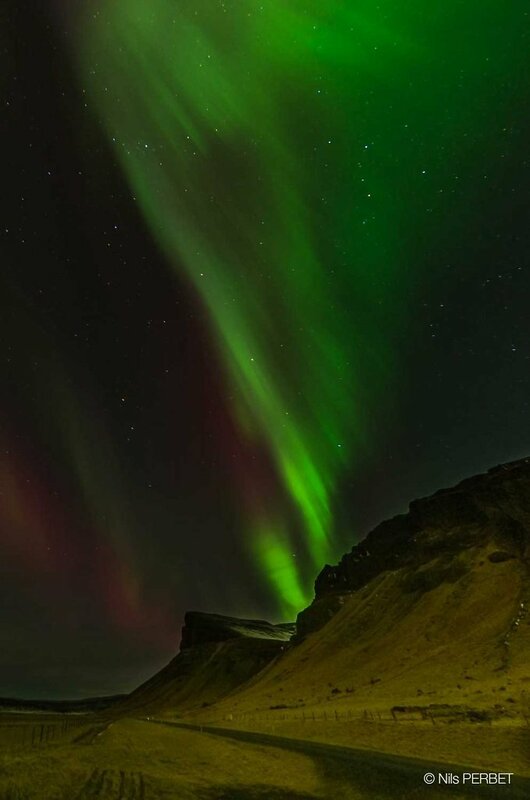 You can observe splendid northern lights too. 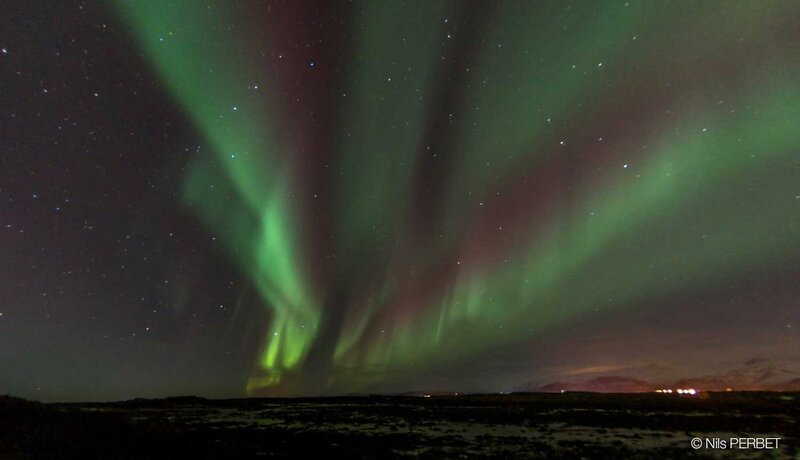 Home of the first Viking, Iceland is now a wonderful destination. Iceland has created one of the most modern and competitive seafood industries in the world, based on sustainable harvest and protection of the marine ecosystem. 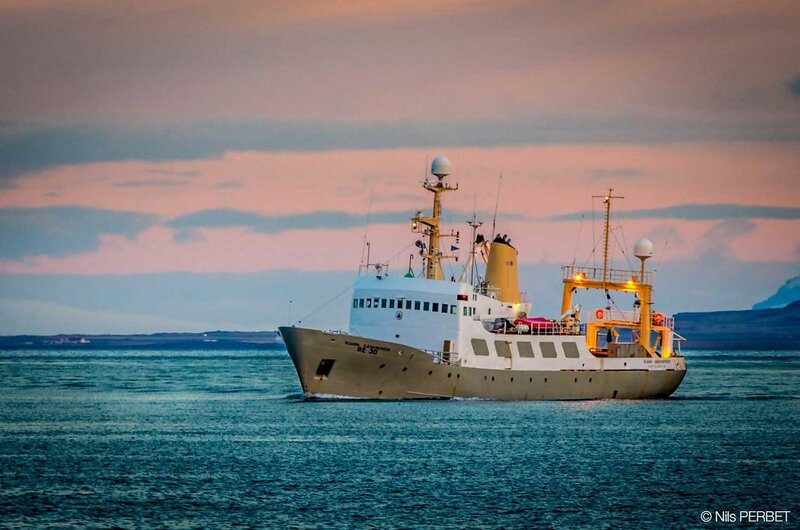 The fisheries management in Iceland is primarily based on extensive research on the fish stocks and the marine ecosystem and biodiversity, and decisions on allowable catches are made by the Ministry for Fisheries on the basis of scientific advice. 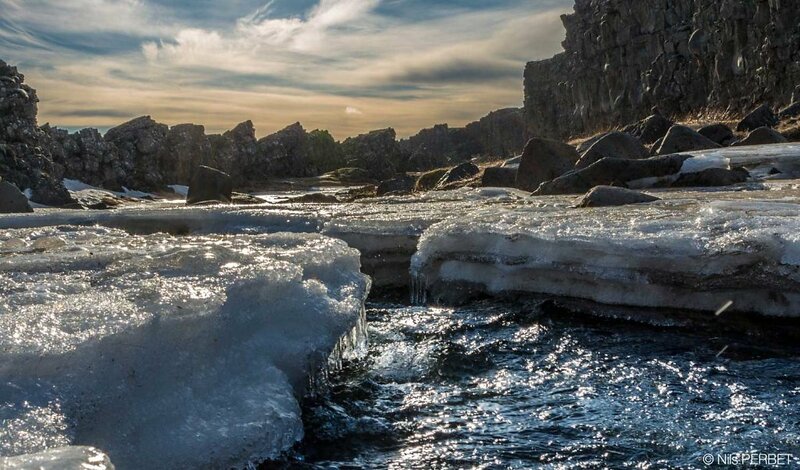 Thingvellir area is part of a fissure zone running through Iceland, being situated on the tectonic plate boundaries. This place is a site of historical, cultural and geological importance and became a UNESCO World Heritage Site in 2004. A Parliament was established at Thingvellir in 930 and remained there until 1798. The Öxará (a river), a tributary of Lake Þingvallavatn, descends to the rift forming Öxarárfoss, a waterfall. Erupting about every 4-8 minutes, with an average high of 18m, Strokkur is a fountain geyser in Iceland. 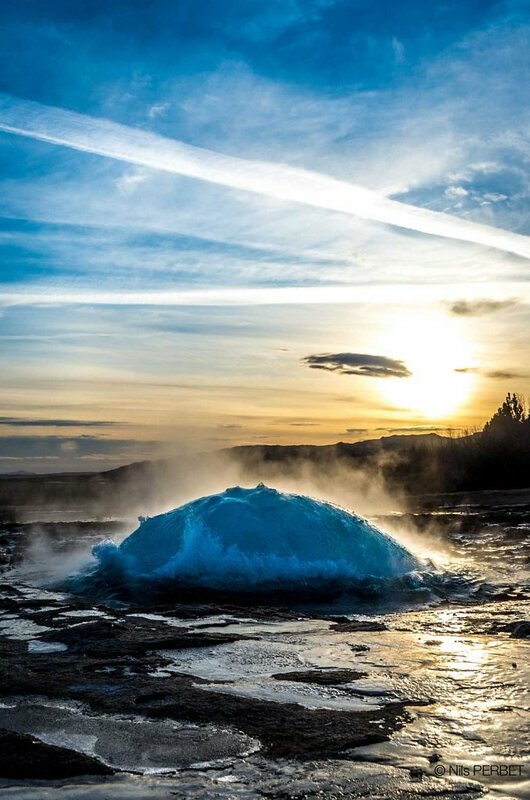 It is one of the Iceland's most famous geysers. Strokkur was first mentioned in 1789, after an earthquake unblocked the conduit of the geyser. 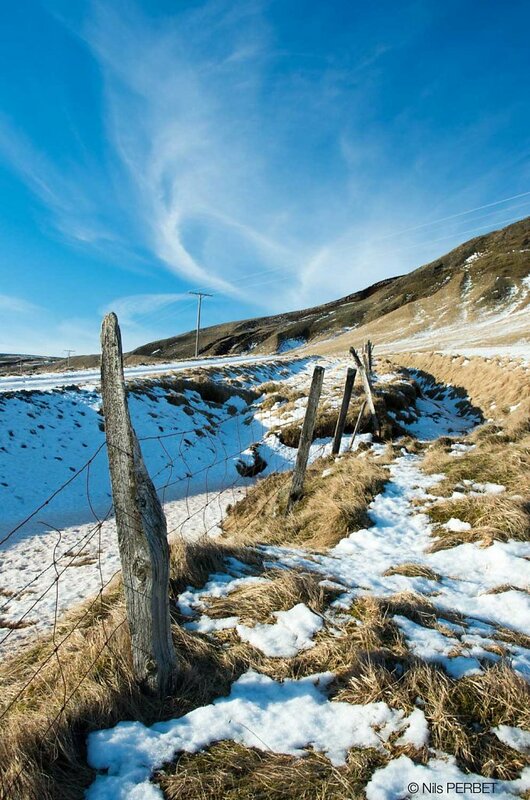 Close to this fence is sitting the Fjaðrárgljúfur cayon. This cayon is up to 100 meters deep and about 2 kilometers long, with the Fjaðrá river flowing through it. This cayon was created by progressive erorosion by water from glaciers through rocks and palagonite over millennia. For centuries Iceland's main industries were fishing, fish processing and agriculture. 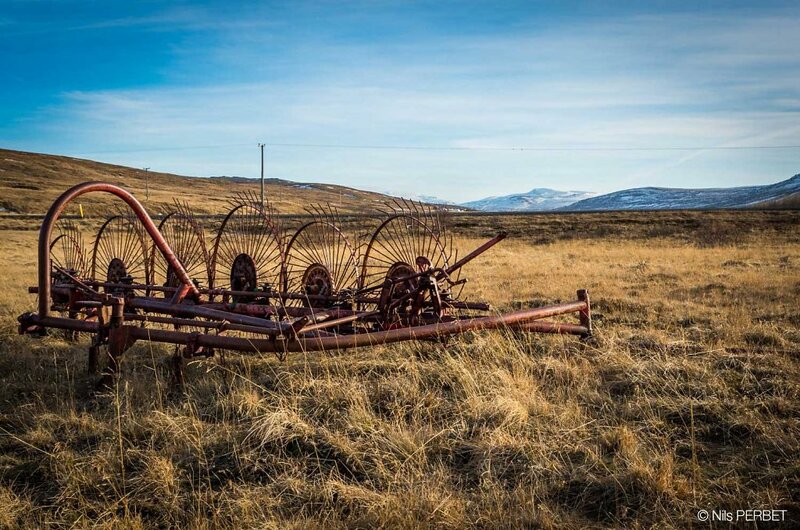 In the 19th century, 70–80% of Icelanders lived by farming, but there has been a steady decline over the years and now that figure is less than 5% of the total population. The Icelandic horse is a breed of horse developed in Iceland. Although the horses are small, at times pony-sized, most registries for the Icelandic refer to it as a horse. 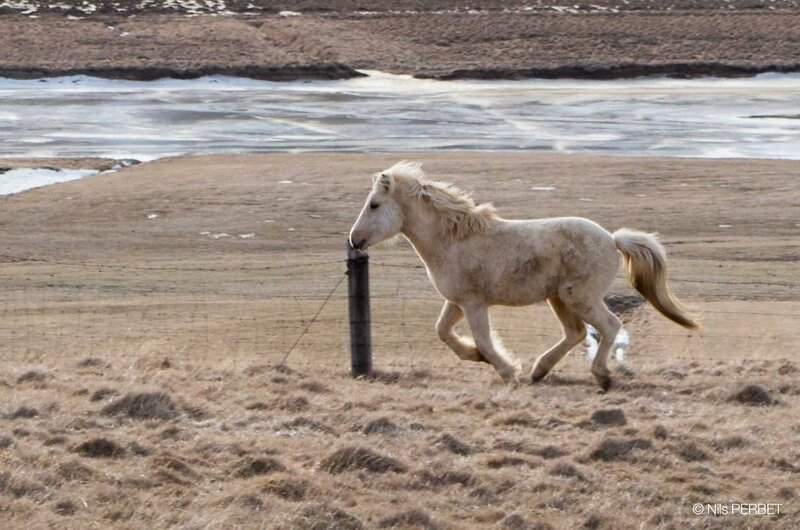 Icelandic horses are long-lived and hardy. Around 10.000 grey seal are living in Iceland. This animal does not travel much, except for the youngest seals which tend to wonder off from their birth colony. 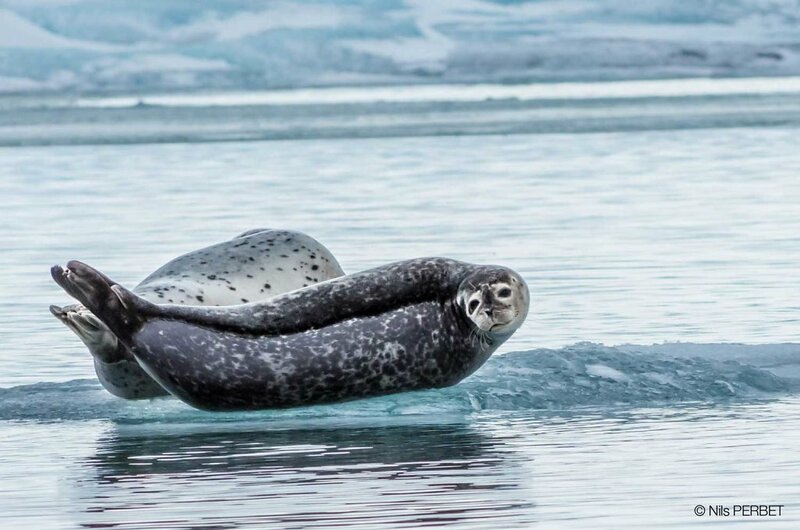 If the seals get interrupted or scared, due to hunting for example, they migrate to a more desirable location. Jökulsárlón is a large glacial lake in southeast Iceland. Situated at the head of the Breiðamerkurjökull glacier, it developed into a lake after the glacier started receding from the edge of the Atlantic Ocean. 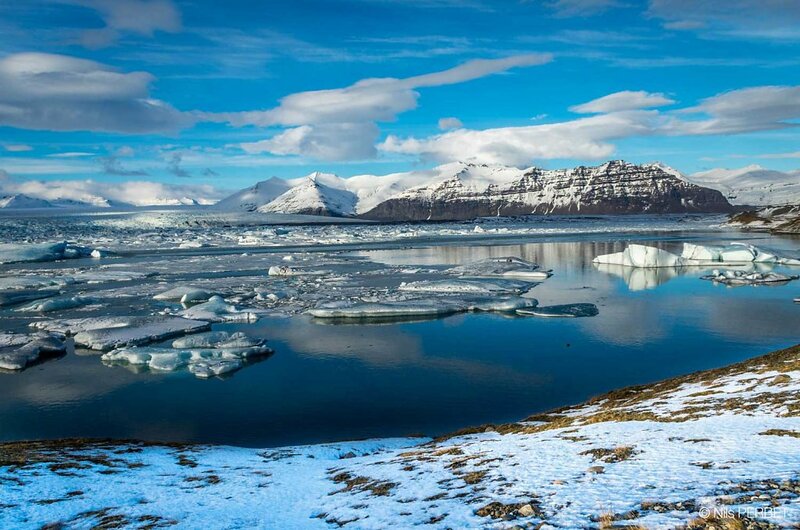 Jökulsárlón has been a setting for four Hollywood movies: A View to a Kill, Die Another Day, Lara Croft: Tomb Raider and Batman Begins, as well as the "reality TV" series Amazing Race. 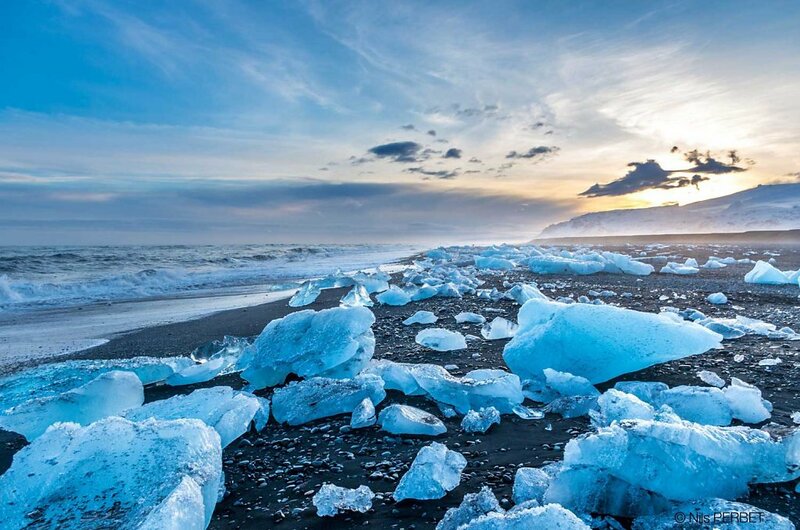 Jökulsárlón is known for being a large glacial lagoon with icebergs floating around. Those icebergs are moving slowly into the sea. Then, they are pushed back on a black sand beach and sculpted by the waves. 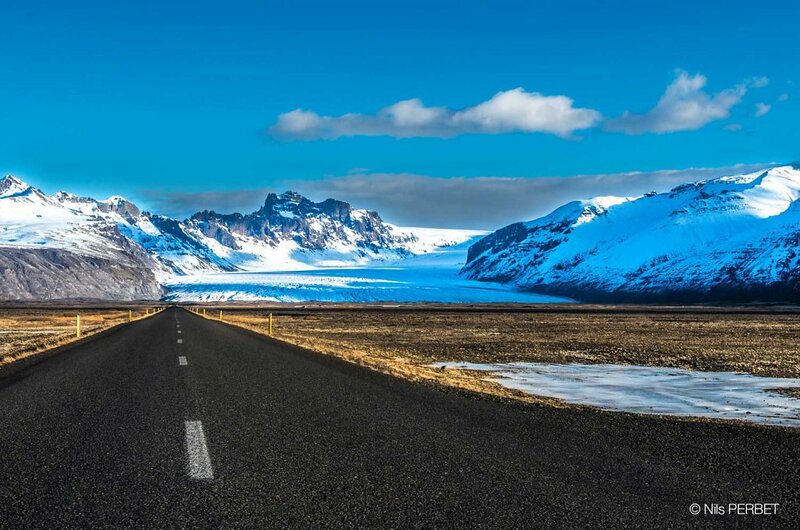 The Skaftafellsjökull is an outlet glacier of the Vatnajökull glacier: the largest and most voluminous ice cap in Iceland, located in the south-east of the island, covering more than 8% of the country. Skaftafellsjökull glacier was used to play a part of Batman Begins. 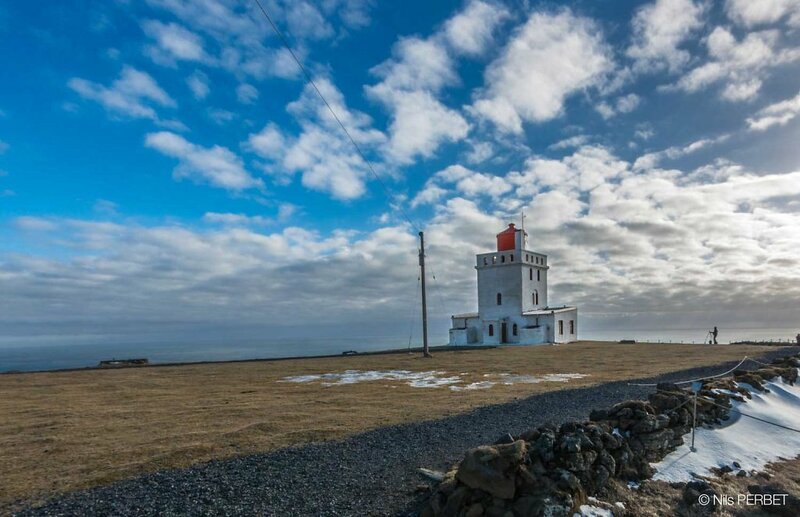 Sitting at the southern point of Iceland, the Dyrhólaey lighthouse was built in 1910 then modified in 1927. The height of the tower is 13 meters while the focal plane of the light is 118 meters. 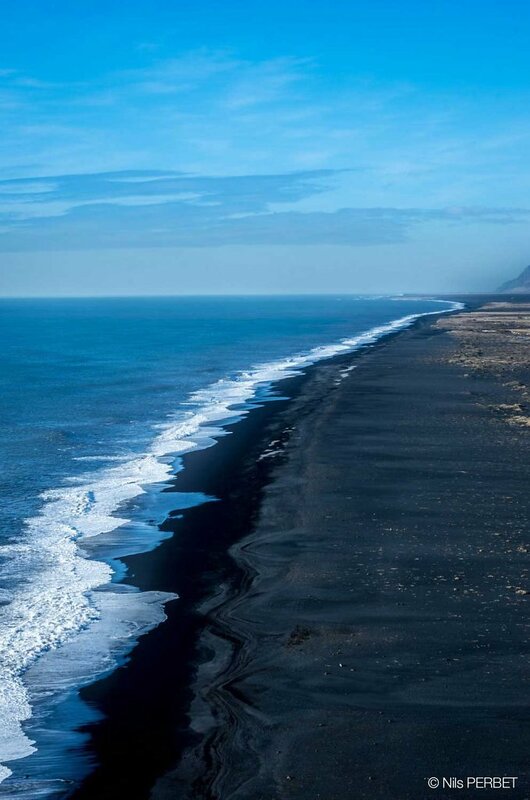 Consider as one of the most beautifull beach of the world, Dyrhólaey beach has a black sand, originated from the basalt lava that covers much of the area. Because black sand isn’t routinely replenished like most beach sand when storms and tides wash the sand away, black sand beaches tend not to endure very long. Reynisdrangar are basalt sea stacks situated under the mountain Reynisfjall near the village Vík í Mýrdal, southern Iceland which is framed by a black sand beach. Northern Lights is a common name for the Aurora Borealis (Polar Aurorae) in the Northern Hemisphere. Aurorae are caused by cosmic rays, solar wind and magnetospheric plasma interacting with the upper atmosphere.